You need Flood insurance if you are in a high-risk, flood-prone area. The federal government provides Flood insurance coverage for both property and contents. List of companies that can determine what flood zone you are in and if you need flood coverage is on FEMA’s website. Michigan homeowners policies do not provide flood insurance coverage. Many people believe the federal government will help them recover from a flood. However, most floods are too small to qualify for federal assistance. For approved aid, the amount the person receives or can borrow is not enough to cover all of your losses. The support that Fema provides is in the form of a low-interest loan that you have to repay and may cause further hardship. If you are a property owner whose property is in a low area or near a river or lake, you may be concerned that you need flood insurance. Mortgage company requires flood insurance if your mortgaged home is in a designated flood zone. You can find out if you are in a designated flood zone by contacting your local township office, building an official, city engineer, or planning and zoning administrator. The Federal Emergency Management Agency also produces flood rate maps and makes them available to agents and other interested individuals. The lender requires flood insurance in connection with the making, increasing, extending, or renewing of your loan. A Map revision requires an additional amount of insurance. 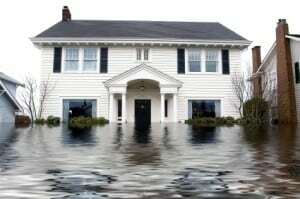 Your lender determines that your loan does not have enough flood insurance coverage. Your policy renewal requires an additional amount of insurance. Many companies that sell home insurance in Michigan also sell flood insurance. Your home insurance agent can give you information on the coverage and the cost of the flood policy. However, the price should not vary among companies because the federal government sets the premium. The premium is the same from all agents. An agent can provide additional strategies that you can use to protect your property from flood damage. You will have to pay the full years premium unless your agent or company provides that independently. The National Flood Insurance Program makes the coverage effective when the full payment is received. Flood damage to your building or personal property will have coverage on your flood insurance policy. Sewer or drain backups will only have coverage if the backup is from flooding. There is no coverage for Damages if some other problem creates the backup. A complete summary of what is covered by The National Flood Insurance Program is available under the highlighted link. Click on how to prevent sewer backups for more information on ways to avoid the backups from flooding your basement. Finally, click the link to be connected to a local Michigan flood insurance agent online or contact an agent at 248-888-1134.